There are 30 Assisted Living Facilities in the Hartland area, with 2 in Hartland and 28 nearby. The average cost of assisted living in Hartland is $4,500 per month. This is higher than the national median of $3,346. To help you with your search, browse the 96 reviews below for assisted living facilities in Hartland. On average, consumers rate assisted living in Hartland 4.7 out of 5 stars. Better rated regions include Cudahy with an average rating of 4.8 out of 5 stars. Caring.com has helped thousands of families find high-quality senior care. To speak with one of our Family Advisors about assisted living options and costs in Hartland, call (855) 863-8283. Hartland, Wisconsin, is home to 9,212 people —12.9 percent of the city's residents are age 65 and older, and 13.7 percent of them are between the ages of 55 and 64. To accommodate its aging population, the Hartland area has 42 assisted living facilities — two of these are within Hartland proper, and 40 more are located in nearby areas. 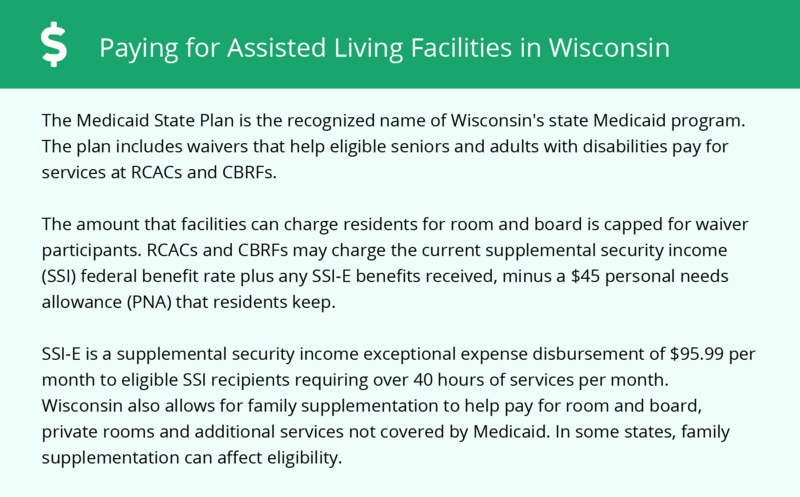 Hartland's assisted living facilities, and those in the rest of Wisconsin, are licensed and regulated by the Wisconsin Department of Health Services to ensure residents receive the help they need to maintain a lifestyle that's as independent as possible. The overall cost of living in Hartland is 8 percent higher than the national average and 12 percent higher than the state average. However, the average cost of health care services is 1 percent less than the state average, and the cost of groceries comes in at 1 percent more than the state average. This might make it easier for seniors on a fixed income to find affordable prices on necessities. Hartland might not be the best location for seniors who don't handle cold weather well. During the winter months, area temperatures can dip into the teens, with averages in the mid-20s. Summers in Hartland are comfortable, though, with average temperatures hovering the high 70s and low 80s. Hartland's overall crime rate is 73 percent lower than Wisconsin's average and 79 percent lower than the U.S. average. Its violent crime rate is even better. It's 96 percent lower than the state average and 97 percent lower than the national average, so seniors should feel safe in the city. The Hartland area is home to world-class medical facilities, including Waukesha Memorial Hospital, in the event of medical emergencies or illness. Hartland seniors might appreciate the fact that their Social Security income isn't taxed. However, withdrawals from retirement accounts and pension payments are fully taxed at a rate of 5.84 percent. The state also imposes a sales tax of 5 percent on top of county sales taxes. However, seniors might find that most of their basics are tax-free — groceries, health care services and prescription medications are all exempt from sales tax. Hartland has an array of community resources for seniors, including the Waukesha County Health and Human Services Aging and Disability Resource Center, an organization that provides counseling, supportive services and transportation to Hartland seniors, as well as one senior center. Assisted Living costs in Hartland start around $4,500 per month on average, while the nationwide average cost of assisted living is $4,000 per month, according to the latest figures from Genworth’s Cost of Care Survey. It’s important to note that assisted living rates in Hartland and the surrounding suburbs can vary widely based on factors such as location, the level of care needed, apartment size and the types of amenities offered at each community. Hartland area seniors who need help paying assisted living costs can apply for the state's Family Care program. 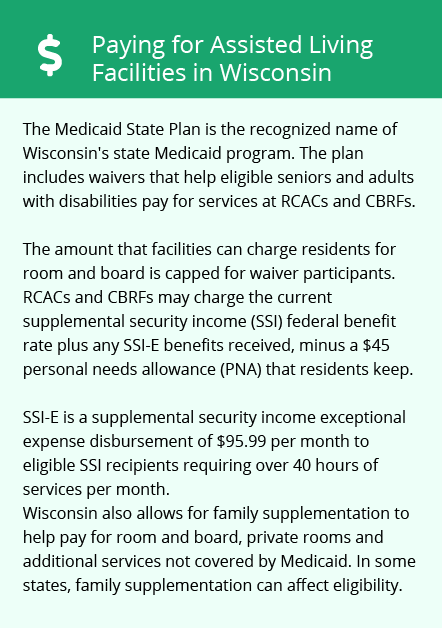 The Wisconsin Supplemental Security Income Exceptional Expense Supplement (SSI-E) covers assisted living costs too. Learn more about these programs, plus who’s eligible, on our Assisted Living in Wisconsin page. For more information about different ways to finance assisted living, visit our Assisted Living in Wisconsin page. Hartland and the surrounding area are home to numerous government agencies and non-profit organizations offering help for seniors searching for or currently residing in an assisted living community. These organizations can also provide assistance in a number of other eldercare services such as geriatric care management, elder law advice, estate planning, finding home care and health and wellness programs. To see a list of free assisted living resources in Hartland, please visit our Assisted Living in Wisconsin page. Hartland-area assisted living communities must adhere to the comprehensive set of state laws and regulations that all assisted living communities in Wisconsin are required to follow. Visit our Assisted Living in Wisconsin page for more information about these laws.